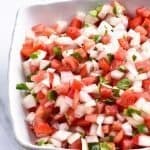 Honey Lime Fruit Salad Recipe – Made with your favorite fruits with a delicious dressing, this honey lime fruit salad is always a favorite! 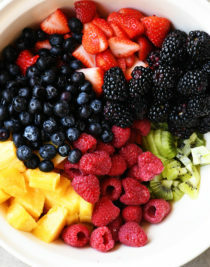 Fruit salad made with fresh, juicy fruits is definitely one of those dishes that I turn to time after time. I love how fruit salad is just so quick and easy to prepare. 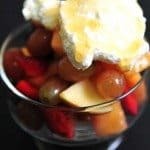 For this Honey Lime Fruit Salad, you can really use your favorite combination of fruits. We love it with a mix of berries, pineapple and kiwi like I have in this photograph, but I also love to include oranges, tangerines, grapes and even mango. I start by cleaning all of my fresh fruit and then cutting any of fruit needed – such as hulling and slicing my strawberries and cutting my pineapple into chunks. 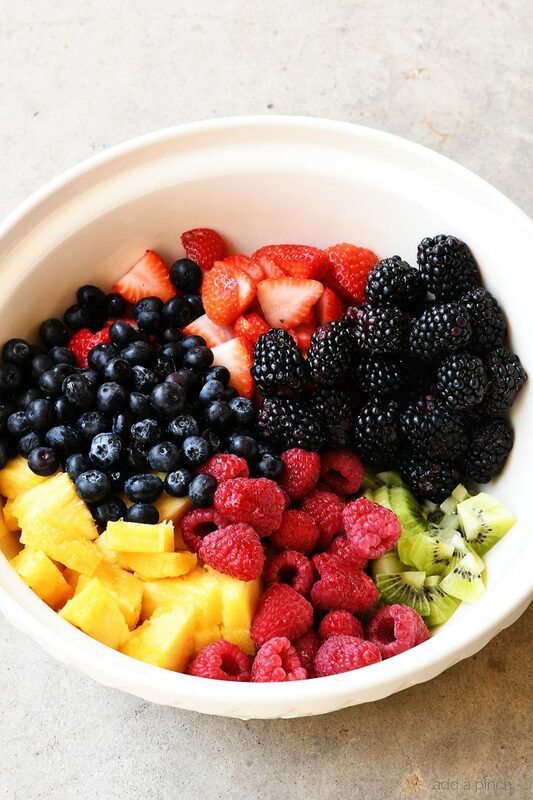 I add then add all of my prepped fresh fruit to a large bowl. Reserve about 2 tablespoons of pineapple juice from the pineapple to use along with the dressing. 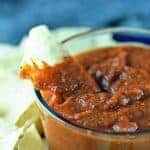 It adds so much flavor, sweetens the fruit, and helps the fruit from darkening once cut. Once all of my fruit is prepped, I whisk together the pineapple juice, lime juice and the honey in a small bowl and then pour it over the fruit. Then give the fruit a gentle toss in the dressing to make sure that all of the fruit is well coated in the dressing. We love to make this fruit salad for so many get togethers, family meals, and more! 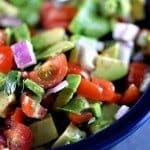 It is perfect for spring and summer picnics and reunions as well as fall football as an easy and refreshing dish! 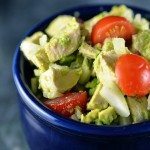 You can serve it immediately or at least within about 15 minutes. 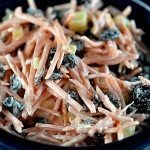 But, if you would like to make it ahead like I do so often, just be sure not to add the dressing to the fruit until you about ready to serve since it will cause the berries to macerate and release their juices. I like to store my fruit all in one large bowl and then have my honey lime dressing in a separate small bowl. Then, right as I am ready to serve, I pour the dressing onto the fruit salad, give it a gentle toss and serve. Here’s my Honey Lime Fruit Salad Recipe. I hope you enjoy it as much as we do! 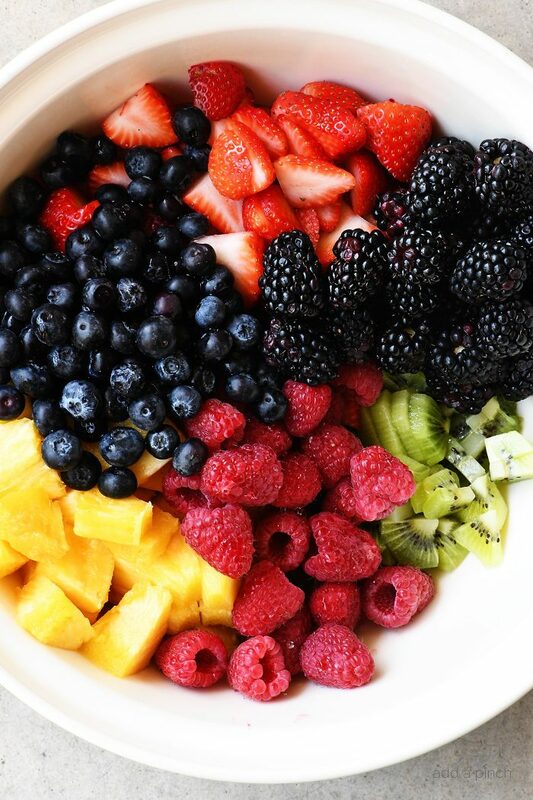 Add all of the prepared fresh fruit to a large bowl. Whisk together the pineapple juice, lime juice, and honey in a small bowl. Pour the dressing over the fresh fruit and gently toss the fruit in the dressing to coat. Serve immediately or within the next 15 minutes. How beautiful! Looks and sounds so yummy and refreshing! Thank you, Robyn for sharing!